Are you a St. Leo resident or St. Leo University student that has been arrested and charged with DUI? Do not delay! To avoid unwanted penalties you must consult a skilled and practiced dui attorney in St. Leo immediately! By hiring a qualified St. Leo dui lawyer to represent your interest, you take an important step in protecting your constitutional rights!! Dui charges are prosecuted very aggressively in St. Leo and the Pasco County areas. This is especially true for college students. In addition to the conventional dui laws, St. Leo students under 21 must worry about Florida’s zero tolerance law. If you are a St. Leo college student you may not be 21. If you are not, there are special dui laws that apply directly to you. This special provision in the law can have a huge impact on your case if you are under 21 or if your arrest was the result of an investigation of a person under 21. The only way you will know for sure if you have any defenses is to speak with a qualified dui attorney in St. Leo that understands the technical aspects of a dui charge. Of course if you have more than one dui conviction the penalties increase dramatically. But whether it is your first conviction or your fourth, you will face increased costs in insurance rates and auto costs. If you are a student you will have to disclose the conviction on college applications, job applications and some financial aid and scholarship applications. A dui conviction can keep you from entrance into some college programs such as nursing and engineering. Even if you are not a student, a dui charge must also be disclosed on some professional license applications. If you are a professional driver you can face loss of employment for years. By talking with a St. Leo dui attorney students and professionals alike can discuss the impact this arrest will have on their current situation and possibly avoid some penalties. At Finebloom, Haenel & Higgins we understand that there are several dui attorneys St. Leo residents have to choose from. Our firm prides itself on providing the highest quality of service to each and every dui client both personally and in the courtroom. 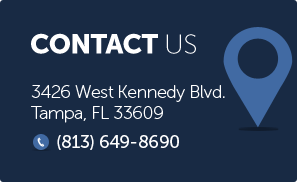 Our dui lawyers in St. Leo have over 30 years of combined experience in dui defense. We put this knowledge to work for you in each and every case. To discuss your options call a member of our dui defense team now at 813-200-4412. Our dui attorneys are willing to discuss your case 24/7. Don’t wait! Let us help you fight your dui case today!